One of those annoying poses that's English name is just as hard to remember as it's Sanskrit. Marichyasana I or Pose Dedicated to the Sage Marichi A. Ha! There are a lot of hurdles to achieve a deep forward fold in this pose. 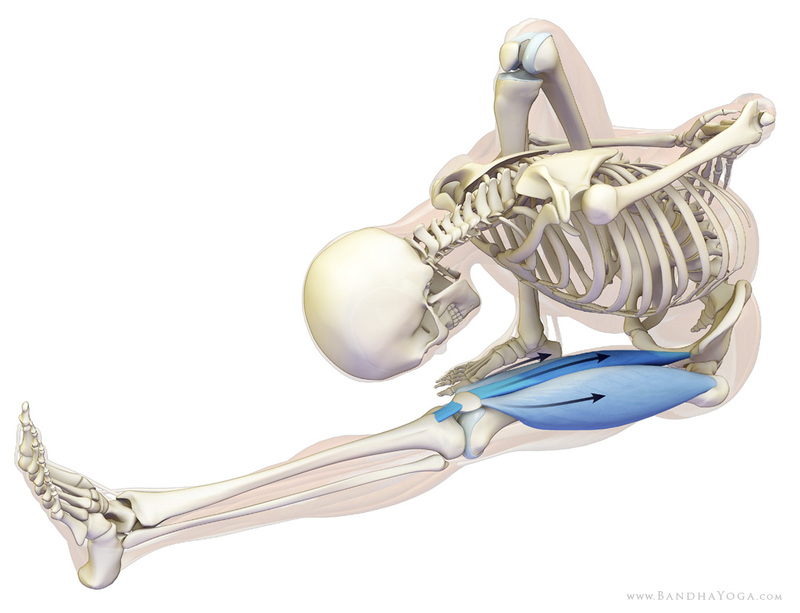 Tight shoulders + hamstrings, or weak adductors. My one big tip: strongly stamp the foot that is closest to you into the floor...as if you were about to stand on it. That will bring more power into the upper body to fold forward. Here's the link to Yoga Journal's step-by-step instruction.